If you have a fear of heights, you might want to allow someone else the pleasure of goat hunting. Choosing to live on top of the mountains, most hunters feel they must exist on eating rocks, as not much else grows at a 7,500 foot altitude. 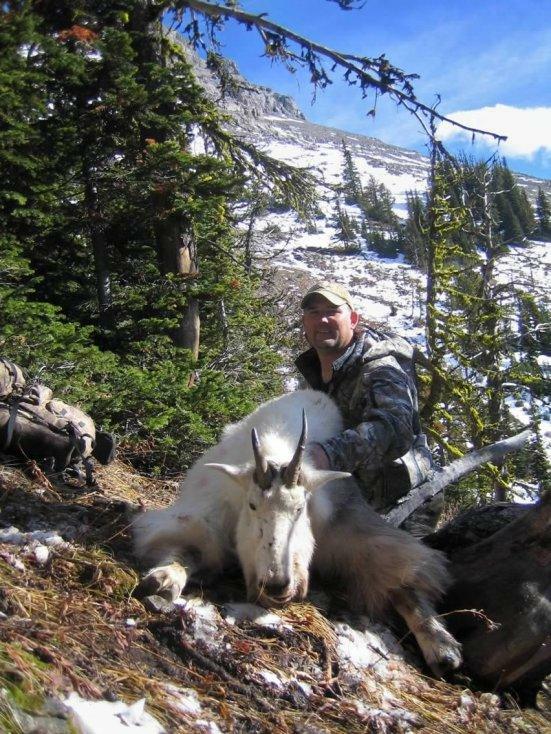 We regard the mountain goat as one of the most under-rated of all North American game and consider our combination goat/deer hunt as one of our best. Season Dates Sept 10- Nov 30. This is a 8-day, combination with muledeer or bear hunt, with one hunter per guide.